For years, American companies have been saving money by “offshoring” jobs — hiring people in India and other distant cubicle farms. “Today,” writes The New York Times (July 31, 2017), “some of those jobs are being outsourced again — in the U.S.” Salaries have risen in places like South Asia, making outsourcing there less of a bargain. (A decade ago an American software developer cost 5-7 times as much as an Indian developer. Now the gap has shrunk to 2 times). In addition, as brands pour energy and money into their websites and mobile apps, more of them are deciding that there is value in having developers on the same continent. 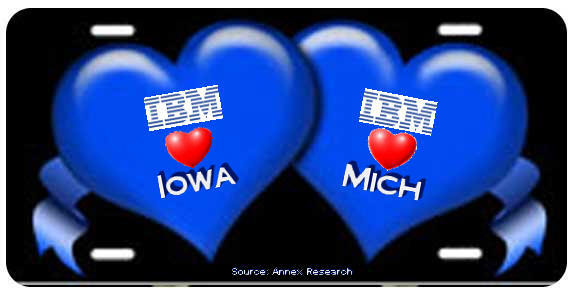 Many of these domestic outsourcers are private, little-known companies, but IBM, one of the foremost champions of the offshore outsourcing model, has announced plans to hire 25,000 more workers in the U.S. over the next 4 years. As a result, the growth of offshore software work is slowing, to nearly half the pace of recent years. “The nature of work is changing,” said the CEO of Infosys, the Indian outsourcing giant. “It is very local. And you often need whole teams locally. It’s not enough to have people offshore in India.” This is a departure from the offshore formula of having a project manager on-site but the work done abroad. Infosys just announced plans to hire 10,000 workers in the U.S. over the next 2 years, starting with centers in Indiana and North Carolina. In the 1990s, the internet allowed tasks like payroll and financial reporting work to be sent to low-wage nations, especially India. That brought the rise of the big outsourcing companies like Tata and Infosys, which still excel at maintaining the software that runs back-office systems.